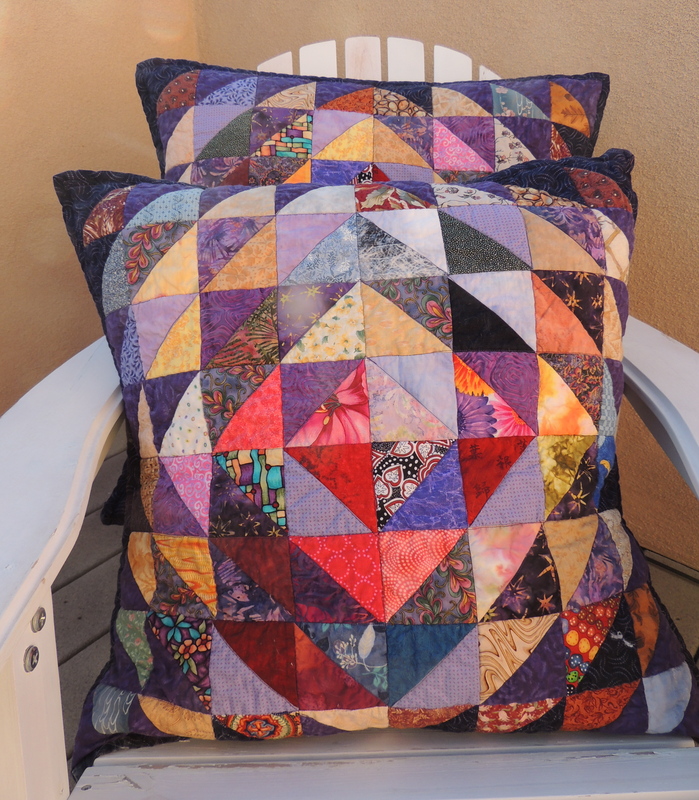 I finished up the 24-inch pillow shams Friday night and sent them through the washer/drier yesterday for some crinkly goodness. 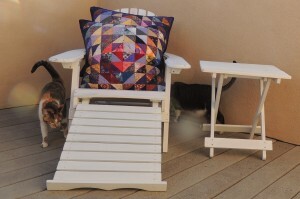 I blogged about this Block Lotto Inspired Project a few days ago. Here’s the finished product. 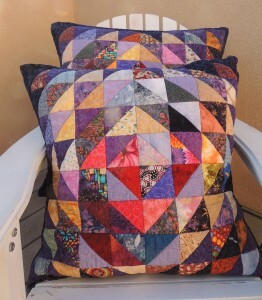 I backed them with some old Hoffman Challenge fabric and used one of the darkest purples in the pillows for the binding. And one more photo … with a slice of New Mexico sky just after sunrise. 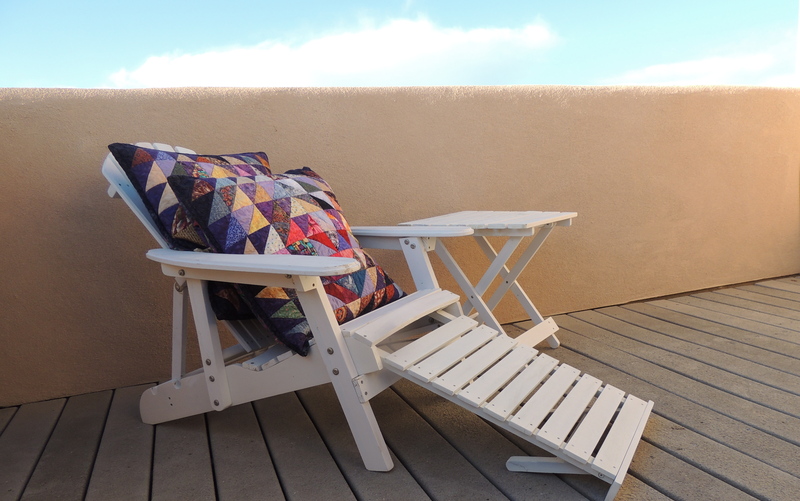 I’ll be using them on the bed, but they make that wooden deck chair look pretty cosy comfy, don’t they? Love’em! They look great! Congrats on a nice finish!